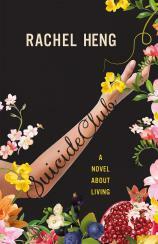 As I read Rachel Heng’s debut, SUICIDE CLUB, my thoughts repeatedly turned to José Saramago’s 2005 novel (translated into English in 2008), DEATH WITH INTERRUPTIONS. Like that work, Heng’s envisions a world in which death is no longer entirely inevitable. Saramago’s book is more metaphysical and philosophical, to be sure, but at the end of the day, both titles prompt readers to consider if eternal life --- at least on a societal, systematic scale --- is really an attractive prospect. In Heng’s novel, unlike Saramago’s, the prospect of immortality is the product of technology. In the near-future United States that Heng creates, humans haven’t quite achieved immortality yet, though rumors abound that the so-called Third Wave --- in which a chosen few are singled out for true immortality --- may already be underway. Heng envisions a world in which detailed genetic testing intersects with ever more invasive biotechnological innovations. Those who are identified as “lifers” --- that is, those whose genetic makeup predisposes them to live long lives --- are entitled to a variety of synthetic bodily enhancements, from skin to blood to organs, that can further extend lifespans, which are also being lengthened through restrictive diet, intense (but not joint-damaging) exercise, and strict avoidance of anything, including music, that might raise toxic cortisol levels. "Despite its dark premise and some truly disturbing scenes, SUICIDE CLUB is, at its heart, a celebration of humanity --- its accomplishments and its foibles." SUICIDE CLUB focuses on two women who have just passed the century mark but, as lifers, are still viewed more or less as young women. Lea is a rising professional, a textbook lifer who works in biological commodities trading and has an equally attractive and ambitious boyfriend. Lea follows all the rules and has every intention of living forever --- if the Third Wave arrives soon --- or at least as long as possible. On the other hand, there’s Anja, an accomplished violinist and daughter of one of the world’s great classical singers. But Anja’s mother can’t make music anymore; essentially a cyborg in a coma, she is kept alive by nearly indestructible technology but reduced to something far less than human. When Lea catches a glimpse of her father, who she hasn’t seen in decades, the events that transpire bring Lea and Anja together, throwing into question many of Lea’s assumptions about the “right” way to live and die and dredging up a number of troubling incidents from Lea’s past that may call into question her rights and ability to be a lifer. Like Saramago’s novel before it, SUICIDE CLUB raises profound philosophical questions about such fundamental issues as the sanctity of human life, the necessity of free choice, and the desire to embrace the time we are given. At the most basic level, Heng’s novel asks, when it comes to human lifespan, if quantity outweighs quality. And what does a life well lived even look like? 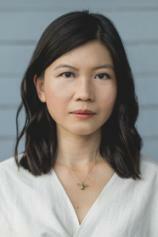 But the book is also very personal --- about parents and children, about siblings, and about the awkwardness and beauty of making friends with someone whose worldview runs counter to one’s own.